Price and ordering information is here. A President’s Perspective, featuring Dr. Jay Gogue, immediate past president of Auburn University, offers practical insights into the challenges of the university presidency drawn from his long career in administration. This digital textbook covers all the fundamental areas of higher education administration. In addition to Gogue’s observations, each chapter of the textbook also includes commentary from veteran administrators Gretchen Bataille and Robert Moulton, who served as consultants for the project. Additional commentary from other high-level administrators at institutions across the country appears throughout the text. A President’s Perspective is designed to serve as the principal text for higher education administration courses or as a supplementary source tailored to specific subject areas. The first of its kind—this digital text is a practical guide to the realities of administration. This e-book is designed to be used in whole or in part; faculty may choose individual chapters for their classes or even elements of the individual chapters. Elements of the text are easily adaptable for use in leadership programs and seminars as well. A President’s Perspective is a cost-effective learning tool and is priced well below the cost of a standard textbook. Dr. Jay Gogue is the featured lecturer for this course. 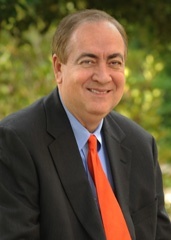 Gogue was president of Auburn University from 2007 until his retirement in 2017. Before returning to his alma mater, he was president of the University of Houston and chancellor of the University of Houston system, and president of New Mexico State University. Earlier in his career as an administrator, he was vice president for research and vice president/vice provost for agriculture and natural resources at Clemson University and provost at Utah State University. He earned bachelor’s and master’s degrees in horticulture from Auburn before earning a doctorate in that field from Michigan State University. Gogue was selected for the Michigan State University Distinguished Alumni Award in 2013. In 2012, he was inducted into the Alabama Academy of Honor, a group of 100 individuals “chosen for accomplishment or service greatly benefiting or reflecting great credit on the State.” He held a 2012 appointment to the U.S. Department of Homeland Security’s academic advisory council. Other memberships include Phi Kappa Phi and Golden Key honor societies, Sigma Xi scientific research society, and the National Society of Scabbard and Blade, the honorary military society for all branches of service.